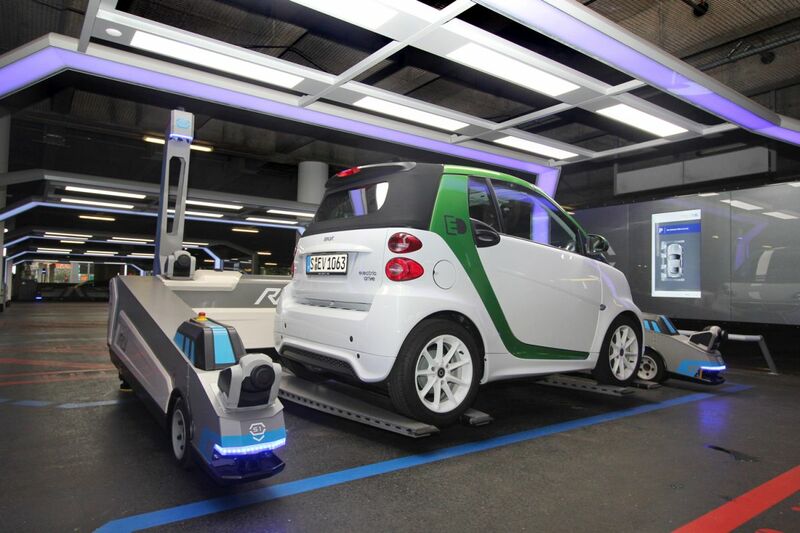 Meet RAY the self-driving forklift that is parking cars. 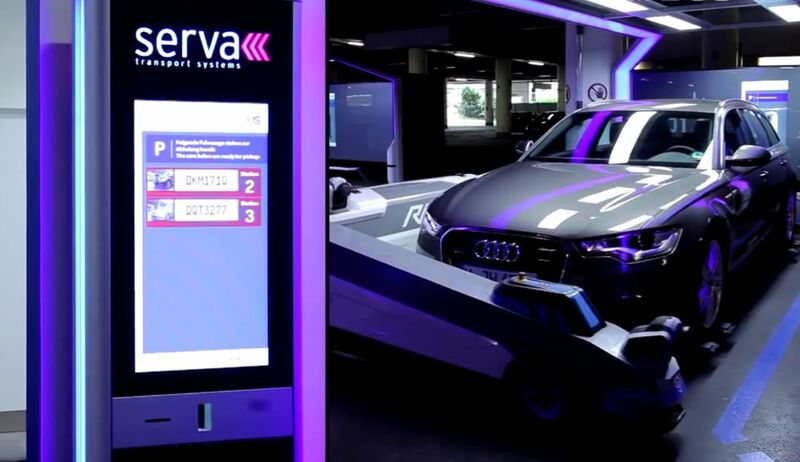 Serva automates car parking. 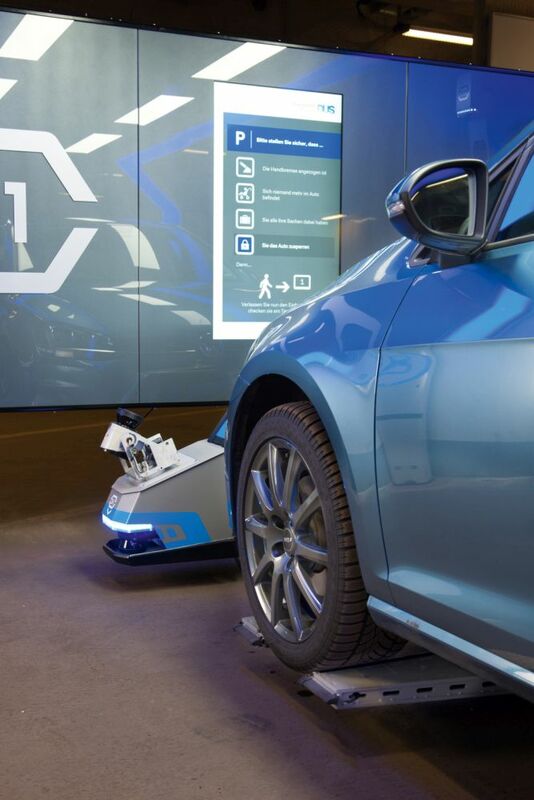 Serva has developed a revolutionary new technology for parking cars. 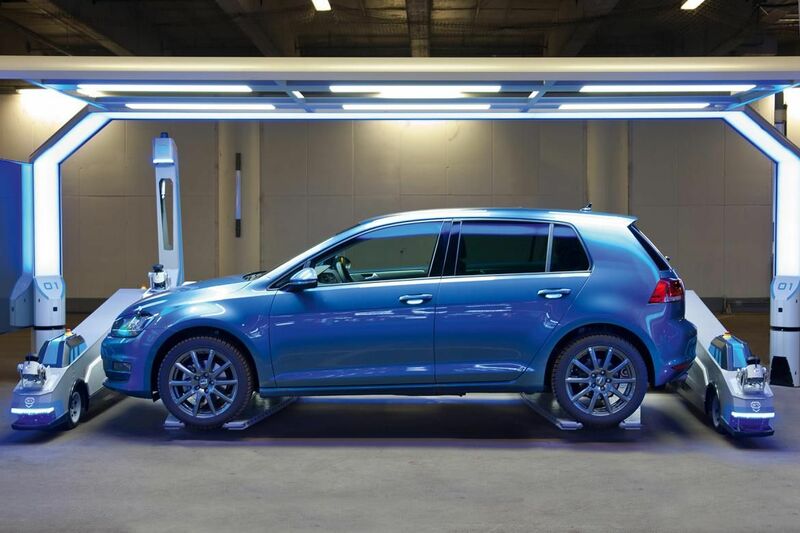 Compared to former manual driving services or valet parking services, its made for customer's convenience and to save parking space and time. 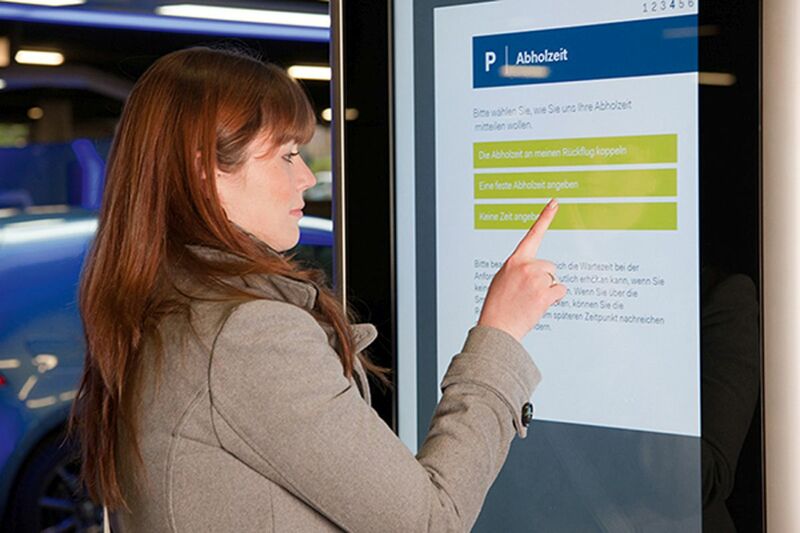 SERVA is running Germany's first automated car parking system at Duesseldorf Airport. 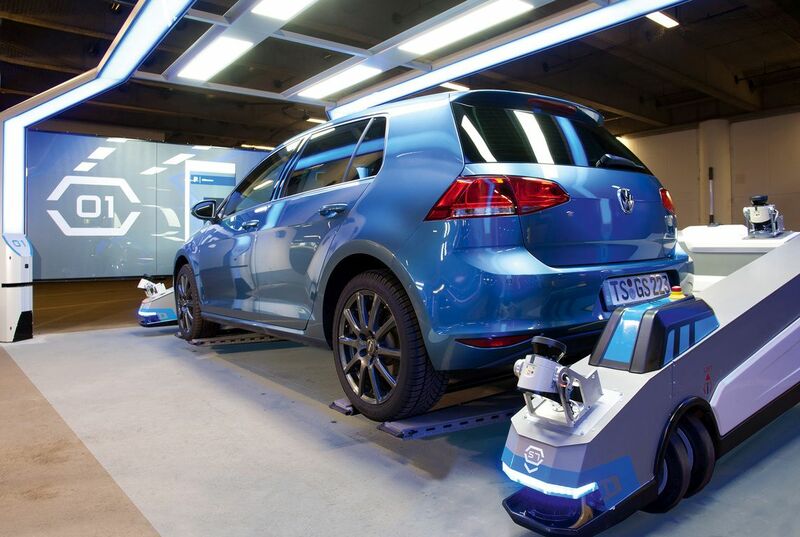 Serva system passed all tests and is in operation with 250 automated parking spaces. Arriving at the airport, passengers simply drive their car onto a marked space at the entrance of the airport-check-in-hall, take their parking ticket, unload their luggage and lock their car. 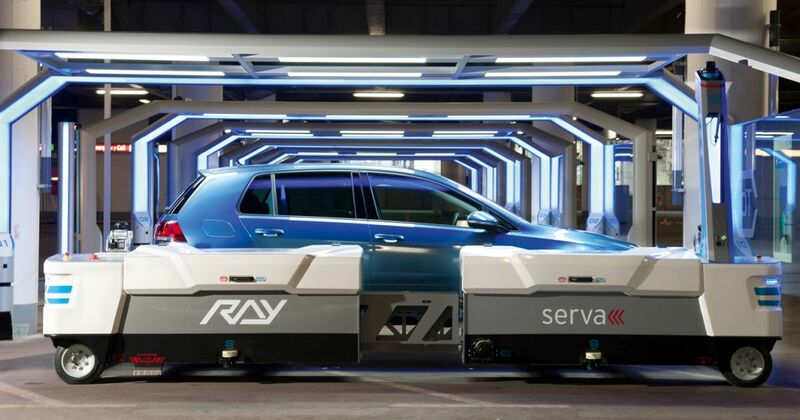 Then the Serva parking robot "RAY" takes care for the rest. 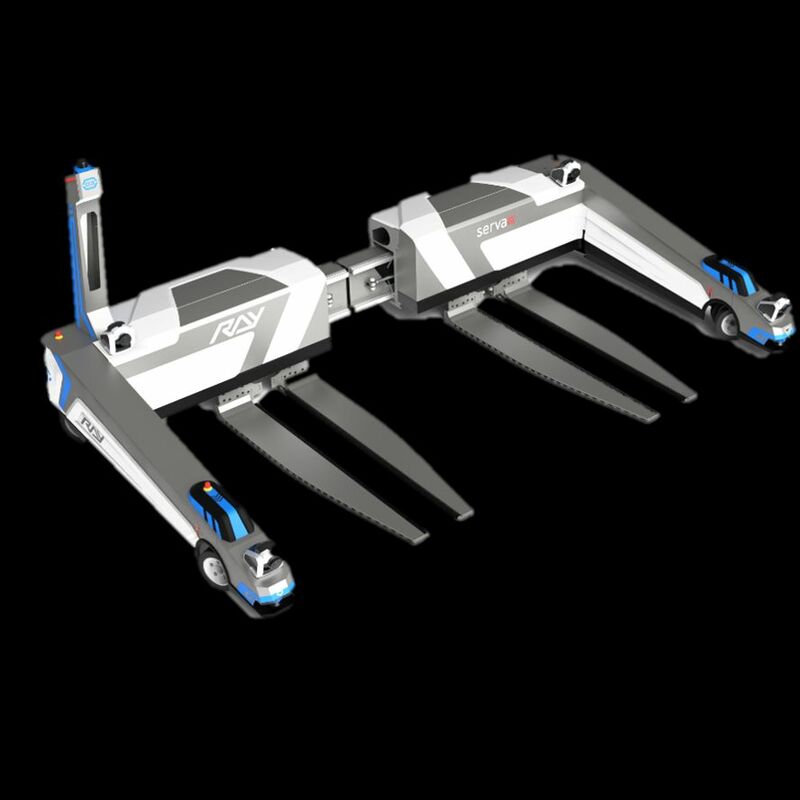 It will park the car picking it up from drop-off-place with fork-lifting it on its wheels. 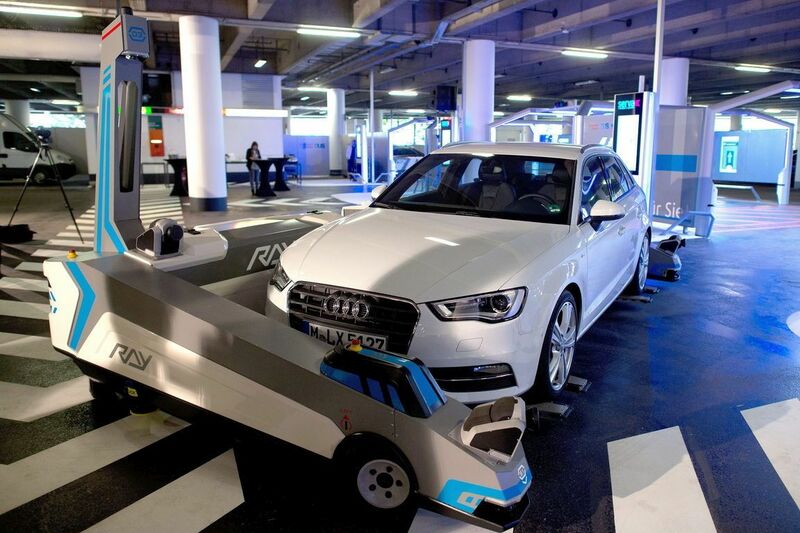 "RAY" takes the measure of any type of car by its laser-system for lifting and parking with outmost spatial efficiency. And "Ray" will even bring it back to the same place at the end of your journey! 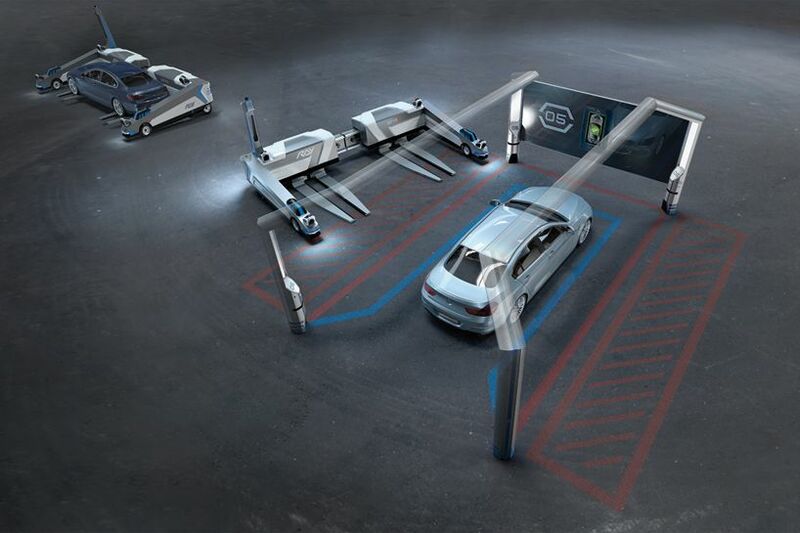 That really revolutionizes the way parking cars - worldwide! For more information click the link to Serva website. Or send your request, Serva will be at your service.